Temple Priests | Char Dham Hindu Temple, The Woodlands, TX,USA. Pandit Phani Kumar Karamcheti was born and raised in Andhra Pradesh, India. 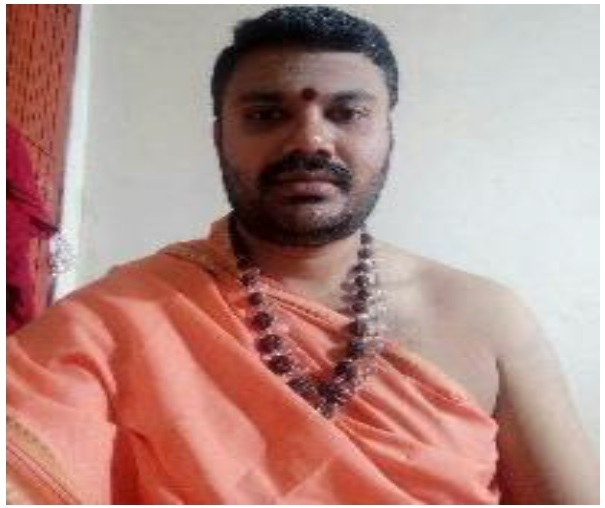 He learnt Brahmin rituals initially under a guru and later finished Archanadi Prathishtantham course in Sri Kanta Saivagama Vidya Parishath ,Vejendla,Guntur Dt. He started as a priest in Saibaba Temple in Guntur, India. He worked for 6 years as a Head Priest in Sri Veeranjaneya temple, Kondapur, Hyderabad. In addition, He worked for 5 Years in Sri Shiridi Saidatta Mandiram, Srinivasa Hills, Mathuguda, near Nagole, Hyderabad Telangana. Pandit Phani Kumar performed and participated in Kumbhabhishekams, Pranaprathistas, Yagas, Homas, Brahmostavas, Kalyanostavas, at prominent Government and private temples all over India. He also performed personal services such as Namakaranams, Weddings, Gruhapravesas, Sathyanarayana vrathams , Ganapathi, Navagraha and all kinds of Homas as well as all kinds of Hindu rituals. Pandit ji is also well versed in Astrology. He speaks Telugu, Hindi and English. Pandit Rishikesh Tiwari was born and raised in UP, India. He studied Shastra & Acharya in Sampurnanand Sanskrit University, Varanasi, U.P. He attended a 9-month long special in-residence training at Hindu Heritage Pratistan; a Modi Foundation Institution in Meerut, India. He worked for 9 years (1991 to 2000) at Prachin Sri Rammandir Ghaziabad, UP, India. After that he worked as a temple priest for 3 years (2000 to 2003) at Sindhi merchant Association, Sindhi House, Singapore. 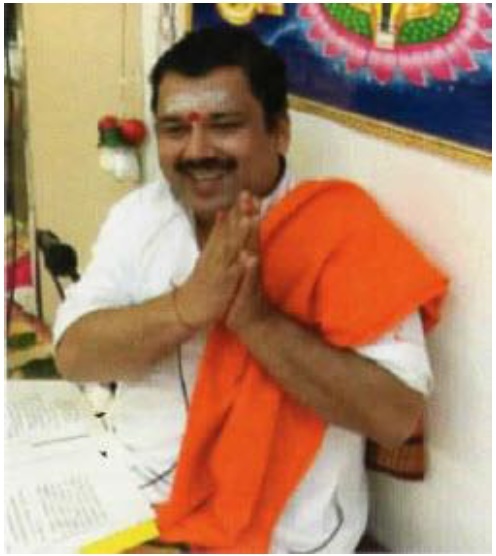 Following that he worked as a temple priest for (2003 to 2008) at Hindu Temple of Wisconsin Pewauke, WI , USA. Subsequently for 10 years (2008 to 2018) he worked as a priest in Sanatan Dharma Temple and Cultural Center of Maple Valley, WA, in the fields of samaskaras, pooja, shreemad bhagwadgeeta, upanishads, astrology, palmistry, yoga, aasanaas, praanaayaama, and meditation. Pandit Tiwari has 16 years of experience working as a yagnyacharya (performing a yajnyam experience), archaka (priest) and karmakanda. He is also proficient in Yoga, ashan, dhyana, pranayama as well as playing harmonium with Sanskrit, and Hindi bhajans. Pandit Tiwari speaks multiple languages including Hindi, Nepali, Punjabi, English, and Sanskrit.